This was a brief early evening seminar debating the challenge of connecting Witney and surrounding areas with Oxford and the rest of the County, fostering sustainable transport, developing new ideas and providing a fairer access to jobs and services. The event was held on Thursday 10 November 2016 – 6pm – 8pm. Oxford Town Hall, Old Library. Please find attached presentations from Raymond Hall and Stephen Joseph. Roger Blake did not provide a power point presentation. 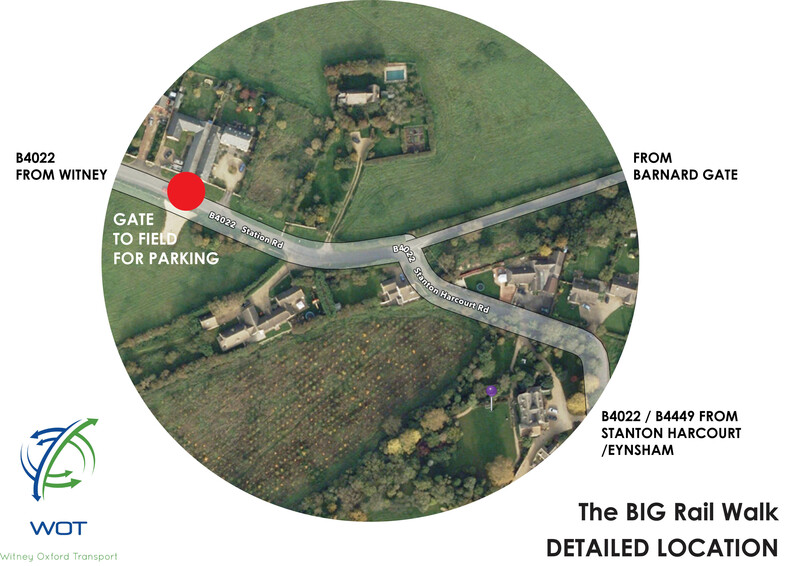 Meet at Wharf Road, Eynsham, OX29 4BP at 10am (by Siemens for free parking and just passed the Swinford Toll Bridge- 5p each way for cars). Rail travellers alight at Oxford, cross road to Frideswide Square (Stop F2) and take Stagecoach S1 bus to Eynsham. OS Explorer Map 180. Our walk traces the path of the old Oxford- Witney- Fairford line passed Eynsham and South Leigh stations (both now redeveloped). Many of the embankments have been removed and returned to farmland. We will be using footpaths that run parallel to the old track bed and there is still some evidence of the track bed in places. 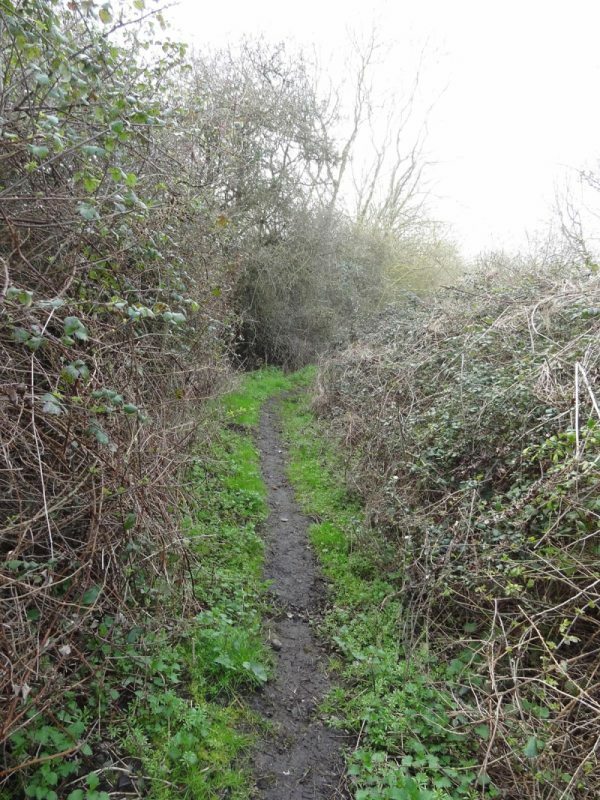 From South Leigh we return to Eynsham using public footpaths. Lunch at the Talbot Inn. After lunch there will be a car shuffle with opportunities to visit additional track bed, stations sites and bridges on the line including the “Ballaso” bridge (time permitting). Car drivers being willing participants can be dropped back at the walk start for onward connections or in Oxford. This is a joint walk with the Witney- Oxford Transport Group. Walk leader: Daniel Cluff: dsc74@hotmail.com, 01235 538866, 0771 235 2011. Pre booking required for lunch orders. Maximum number 25. Please advise if travelling by train or car and if you are willing to be part of the shuffle. A huge thanks to those who attended this event. It was great fun, enjoyed by all, the very young, young and slightly less so. Thanks in particular to Stuart’s machete skills… If you would like to see some photographs of the event please access either our Facebook or Google+ pages. If you attended the walk and have taken some pictures of the group please share them with us! There was a photographer from the Oxford Mail too at the start of the walk, so we may have a short or two published as well. The walk is on private land so admission rights are reserved. You can see the exact route by following this link – do join us and discover a little of our heritage as well as contributing to our cause. Please note that event registration through Eventbrite is now closed, but you are still welcome to turn up on the morning, however, if you turn up unreserved you will not be able to receive the ‘survival pack’, just bring your own snack and some water! 1. We must not overlook active transport (walking and cycling) – for example, pushing for improvements to existing cycleways and perhaps add more (e.g. alongside busway or tram-train tracks). Inclusion of cycle storage provision at “stations” and on vehicles should be made part even of the initial brief. 2. We shall continue to monitor areas where multimodal transport systems have been launched and in particular Cambridge and Luton. 3. We must not forget that some people need to get beyond the centre of Oxford – links to Cowley, hospitals, Oxford Brookes. Mode/vehicle changing en route is not the simple answer. 4. Duplicating the route into Oxford is crucial – reduces risk of disruption (e.g. flooding, accidents) and creates spare capacity on A40 for those who have no alternative to the car (don’t forget the latter group). 5. We need short term (3-5 years) fixes as well as longer term major investment (e.g. better bus links and more frequent trains to Hanborough station, bus lane on A40 into Wolvercote roundabout, attention to Eynsham traffic lights (some disagreement on this last point!)). 6. Promote a link to Oxford Parkway station from Witney from next year encouraging bus companies to consider. 8. Work closely with residents through Parishes etc. 9. Consider economic and environmental benefits at all times.